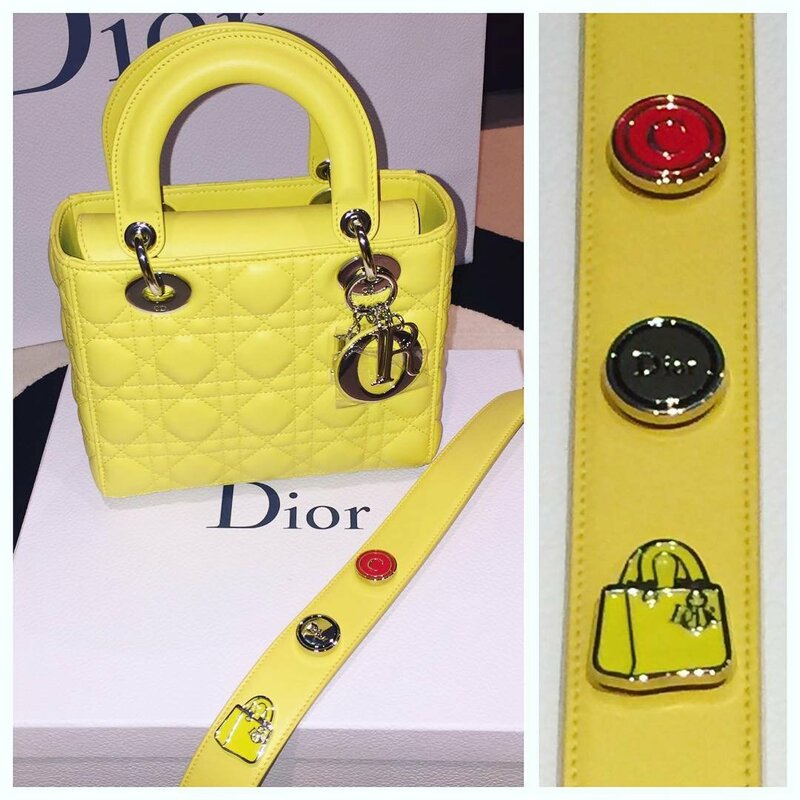 After the success of the Diorissimo Envolee Wallet, it’s time to bring out the Miss Dior Edition. 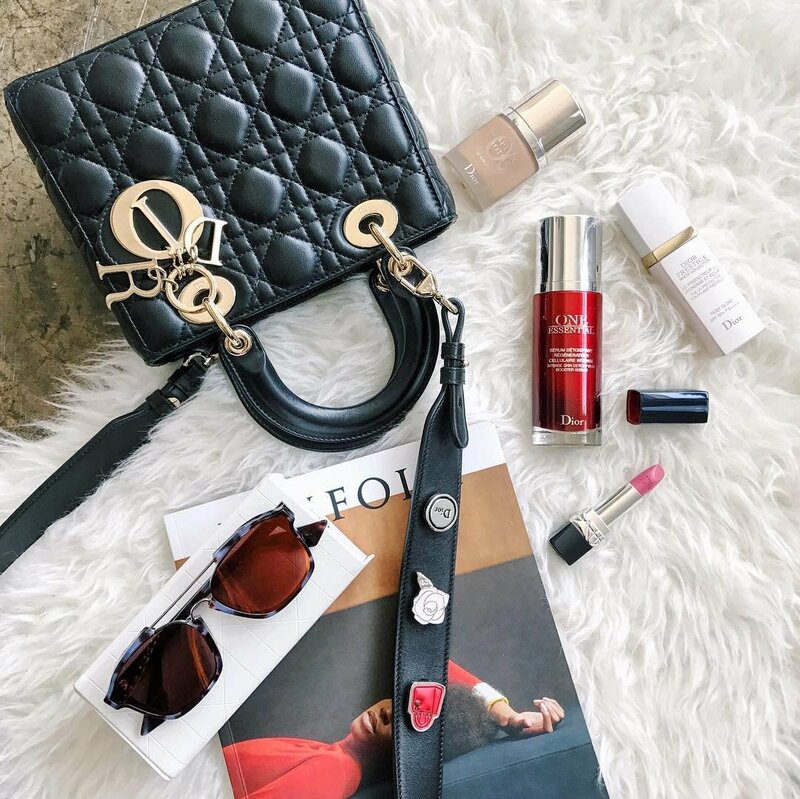 And you know, a classic wallet is always a double yes – Cannage Stitching, the House’s Iconic Clasp, these are the features we love about Dior and it always follows the Lady Dior. 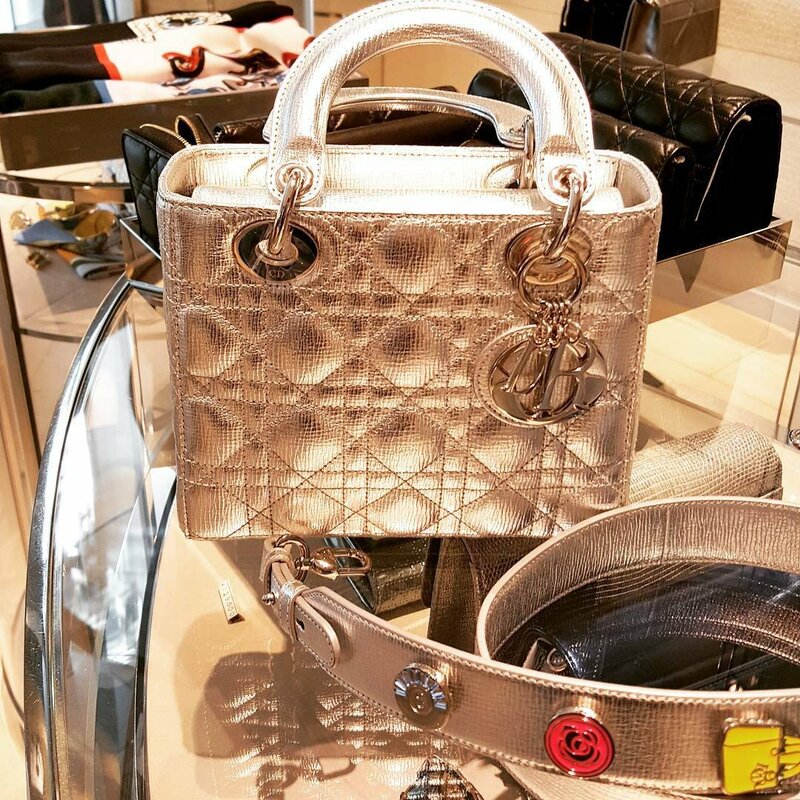 Squared size, compact and small is what fits in all of your purses. The Miss Dior Envolee Wallet is available in different styles like Metallic Crackled made in Deerskin or in Super-soft lambskin. And which one you love depends on your personality. Do you love to flaunt with your wallet? Then take the Metallic edition home. 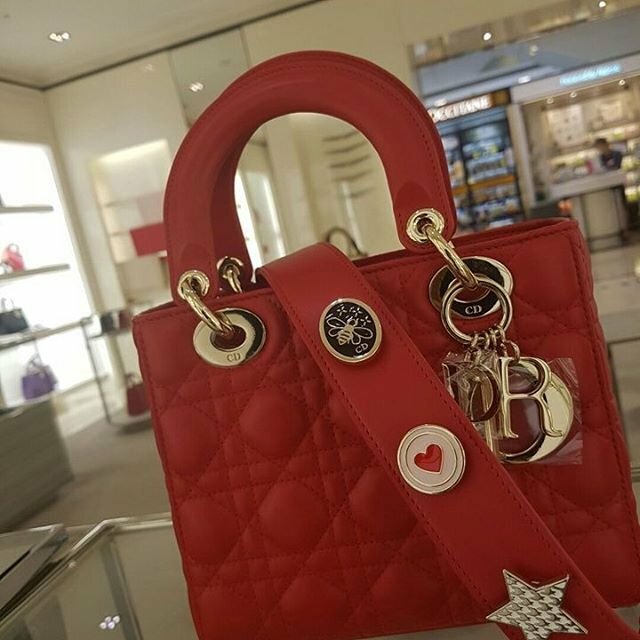 Slip it right into your bag and whenever you need to pay, a shiny star will arise. 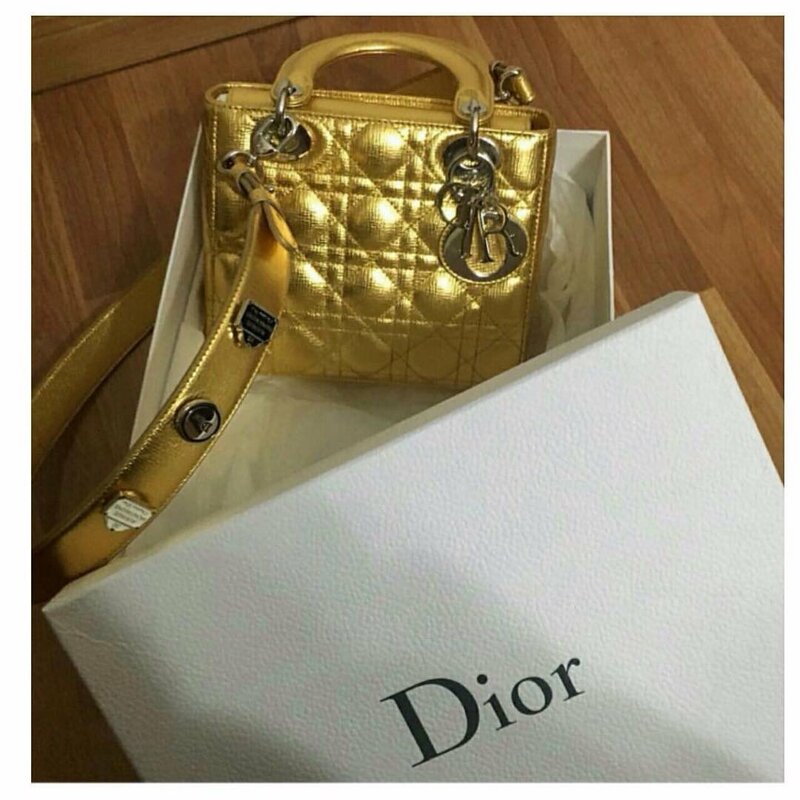 The Miss Dior Envolee Wallet in Metallic is made in light gold hardware (we love) while the lambskin is made in the same shade as the wallet. So for example, the blue version is made with a blue enamel clasp and silver hardware. The interior is not disappointing at all. Inside you will find 6 card slots, 2 flat pockets, a billfold compartment and a zipped pocket – like we said, its compact. 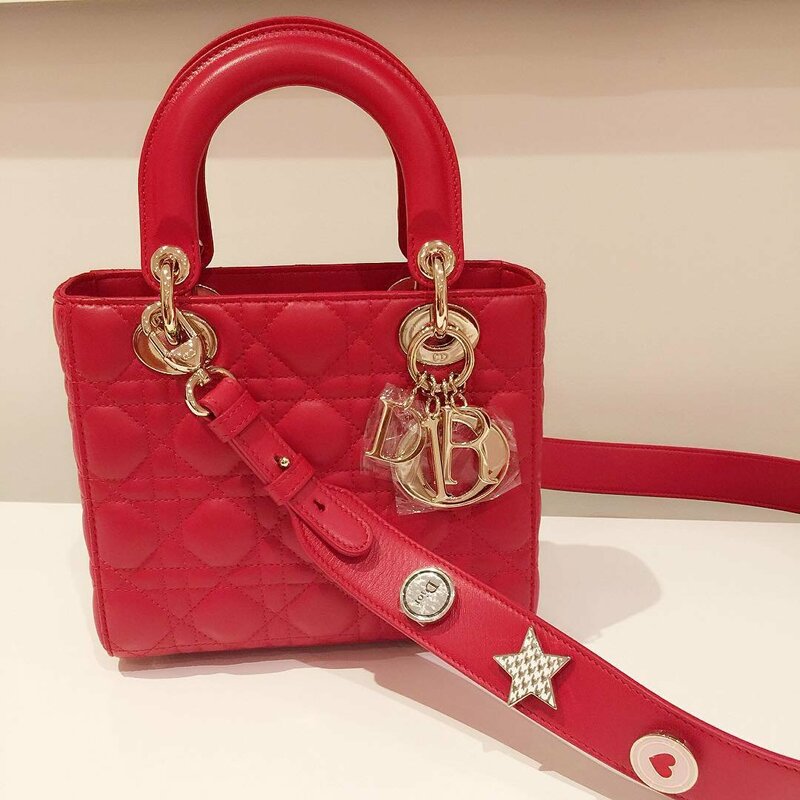 Measuring 11.5 x 9 cm, priced at €580 euro, £500 GBP via Dior boutiques. 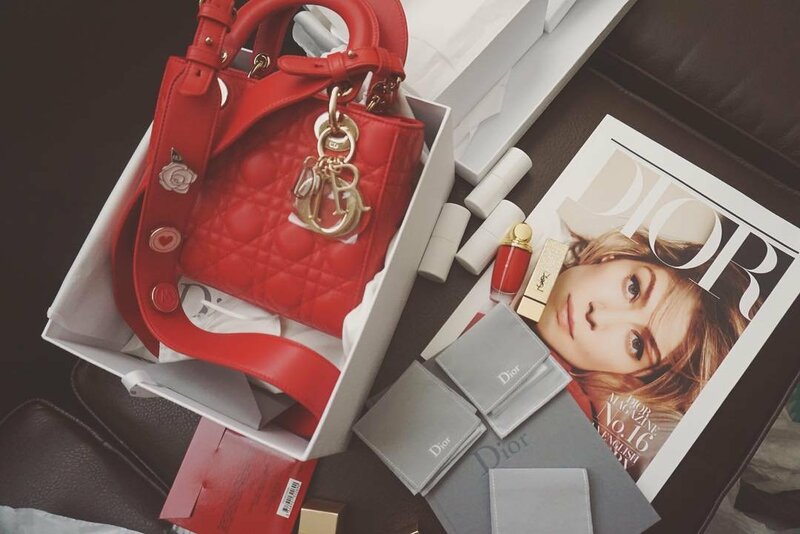 Last week, the most exciting release was the My Lady Dior Bag, without a doubt. 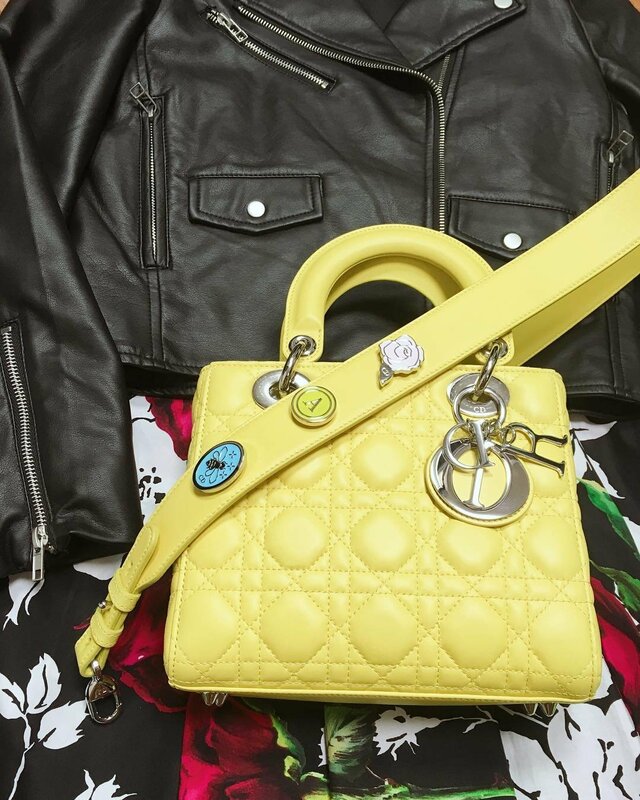 A small playful adjustment turned the Lady Dior into a customizable iconic must-have and we’re absolutely in love with it. Today the French house announced the My Lady Dior Ad Campaign, the images give us more ideas and inspiration of how we want to personalize our very own My Lady Dior Bag. And for those that are not convinced yet, here are more hypnotic pictures. 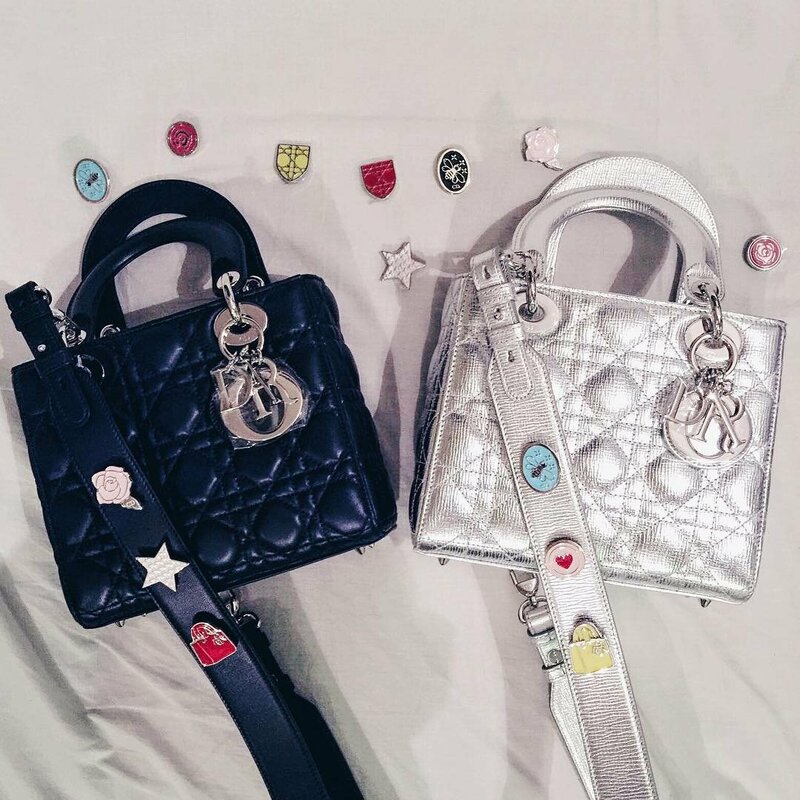 Pin your favorite badge on the Lady Dior Strap. 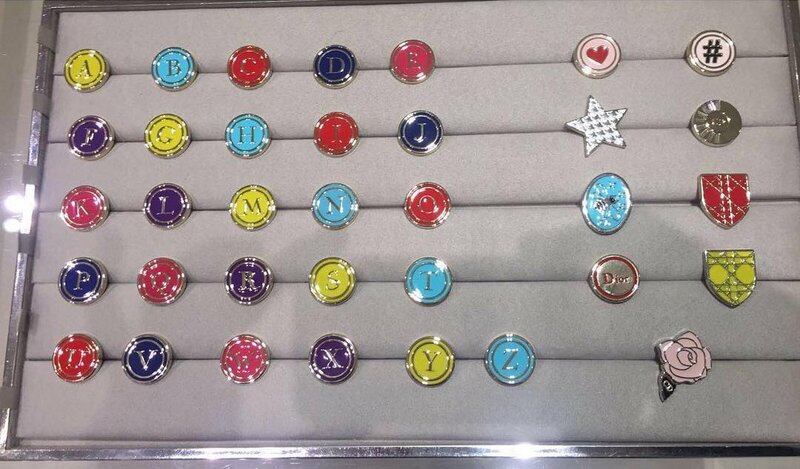 Pin the star, love and bee badges to create a casual style. Or pin the first letter of your name badge to let the world know that this bag is yours. 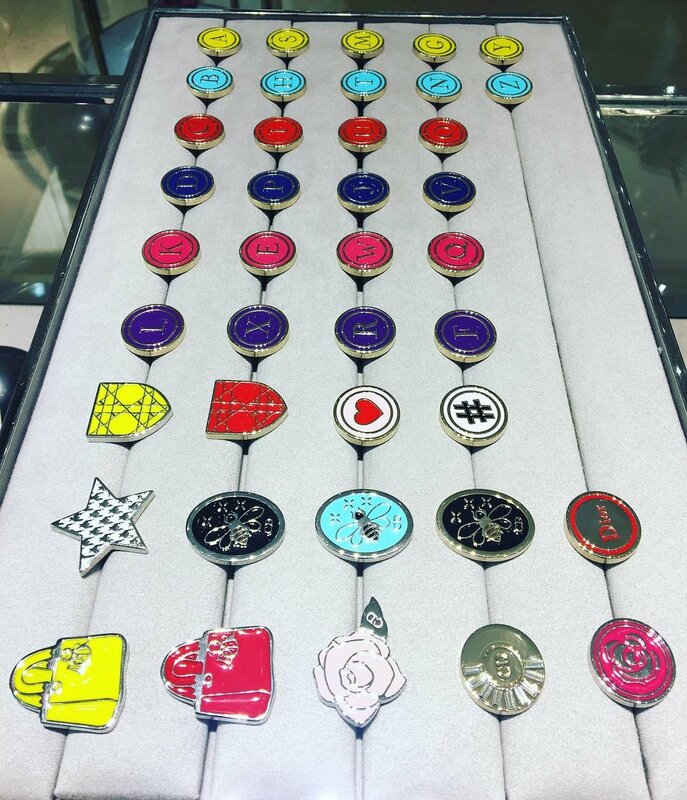 Or even better, choose the Cannage badge together with Dior badge enhance its chicness to another level.